I have a thing for chocolate and peanut butter. I honestly think it's one of the best flavor combinations ever. I saw these cute mini peanut butter cups at Trader Joe's and couldn't pass them up. 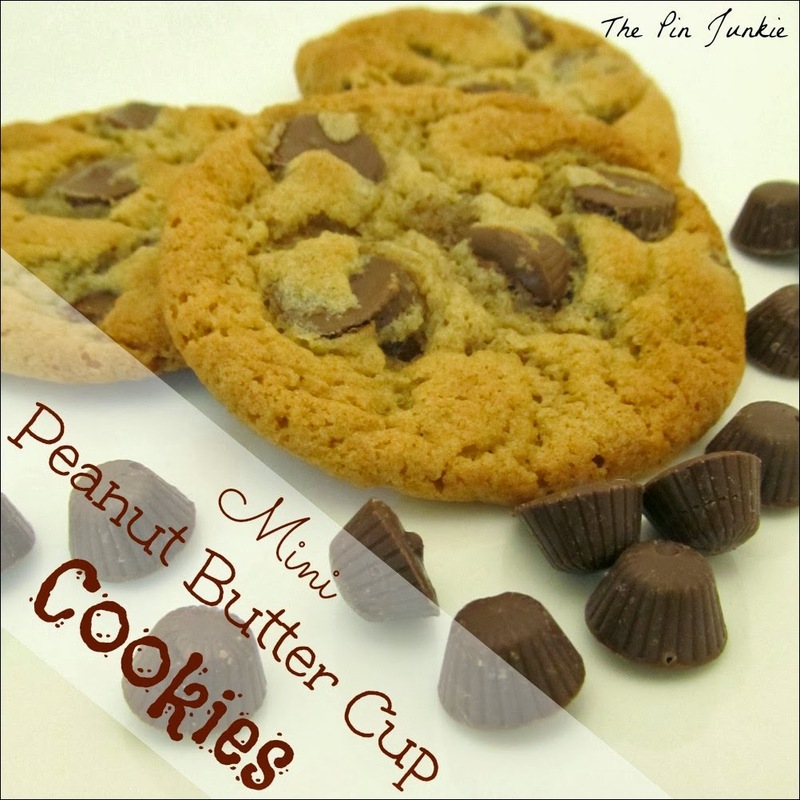 I used my favorite peanut butter cookie recipe and added the mini peanut butter cups to make peanut butter cup cookies. When it comes to cookies, I'm really picky about the texture. I don't like really crispy cookies, but I do like them crispy on the outside and soft and gooey on the inside. The best way I've found for achieving the perfect cookie texture is using a baking stone or a pizza stone. I put the baking stone in the oven when it's preheating. This also preheats the baking stones since they take a while to heat up and ensures a nice even temperature when baking. 2. In medium bowl, cream butter and sugars. Add peanut butter, egg, and vanilla. Beat until smooth. 3. In separate bowl, combine flour, baking soda and baking powder. Add the flour mixture to creamed mixture and mix well. 4. Cover and chill dough at least one hour. 5. Shape into one inch balls. Place two inches apart on baking stone. Bake 15-18 minutes at 375 degrees. Cookies should be slightly browned an set. Cool on wire racks. Wow! This looks delicious! Thanks for recipe! a fav flavour combo for this gal too! Yup, love peanut butter and chocolate. Looks very tasty! Thanks for sharing the recipe with SYC. Count me in, I LOVE chocolate and peanut butter! Such a neat twist to the normal chocolate chip! Oooh! I thought you had me at the peanut butter and chocolate and then I scrolled down and saw the cranberry... YumYummy! This looks so good, and I know soooo many people that would love a cookie with a peanut butter cup inside. Great recipe girl! Mouth watering! Sharing my google+ page! Thanks for sharing on Plucky's Second Thought link up! Pinned! Not a big fan of peanut butter but those cranberry and white chocolate chip cookies look heavenly! Thank you for sharing with Countdown in Style! Oh, I am SOOOO excited to try out this recipe!! Looks so delicious!! These cookies look so good! 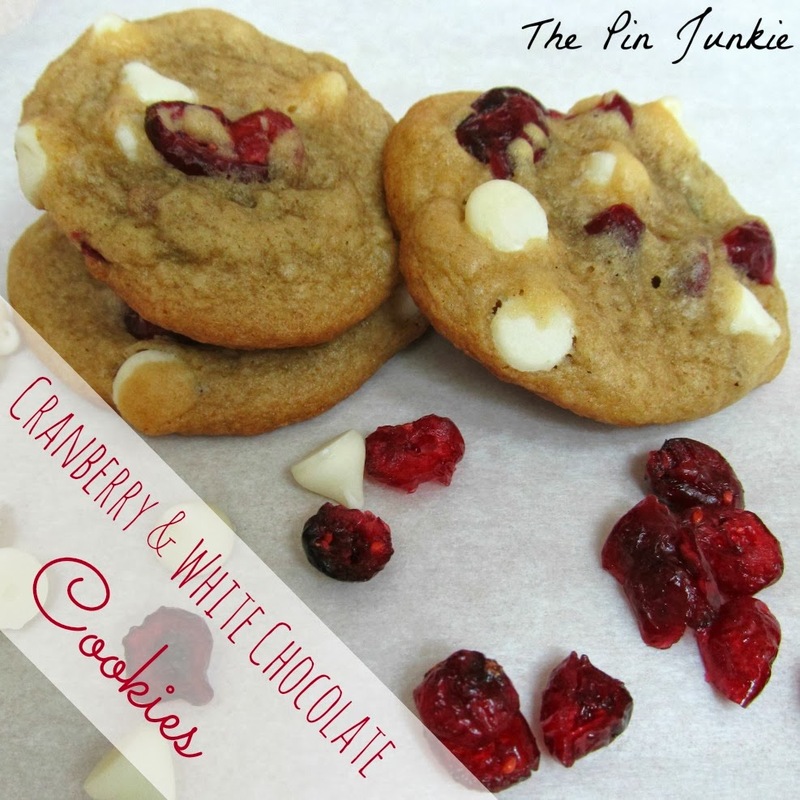 The peanut butter cup ones as well as those creative white chocolate cranberry ones! I love chocolate and peanut butter myself so these are looking oh so yummy to me! Thanks for sharing with us at Countdown in Style! Thx for sharing on Wicked Awesome Wednesday. Love the tip of baking them on pizza stone, to achieve crisp inside while still soft inside. And, well, there's nothing like that chocolate pb combo! These look so good! I cannot decide which to try first:) I am picky about the texture of my cookies too and always just use a special cookie sheet I bought at a baking shop.I do not have a pizza stone (but I want one- and will definitely try baking cookies on one). That is a great tip. Found this recipe at inspire me Wednesday.